Given the lack of substantive news on the development of Mage‘s 20th anniversary edition — “It’s in yet another round in editing!” was the refrain that I picked out from most of the backer updates — and that I don’t follow news from Onyx Path, I will cop to being downright astonished yesterday afternoon when the email came through with a link to the PDF version of the core book. The Mage anniversary project was something I backed almost out of thoughtless reflex. I don’t know that I ever expected it to truly be done, and certainly not within the time frame they estimated. 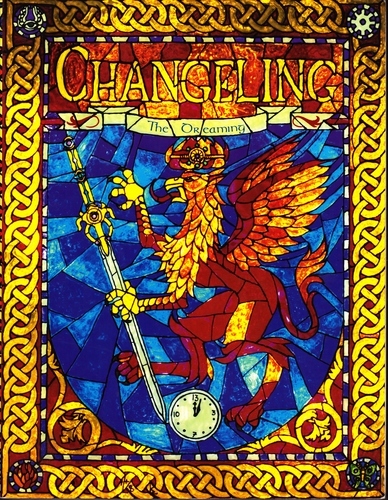 The same used section at Barnes & Noble that introduced me to Feng Shui also held a battered, heavily dog-eared copy of the first edition of Changeling: the Dreaming. Someone used or read that book a lot, and then decided it wasn’t for them anymore — or maybe they moved up to the second edition. Changeling was a super muddled game. Science was generally evil, except when nockers abused it to build stupendous gadgets. Changelings were parasites who commandeered human bodies, except it was okay. And changelings were really fae muses, anyway, inspiring humans to dream big. Growing up was awful and a kind of small death — the first edition of Changeling has an amazing opening story/art piece about a changeling progressing through the stages of childing, wilder and grump — but no, it was really about losing the ability to dream and be creative, rather than simple age. But anyway, I loved the game because it mashed together fantasy and the modern world, and did it in a relatively lighter tone than the rest of the World of Darkness, which I had been studiously avoiding prior to finding this rough gem. The reason it’s my best second hand purchase is because it drove me to find more books in the game line. Quarterstaff Games had an impressive selection of Changeling titles, which slowly became mine over time. Unlike many of my role-playing purchases in that era, I got to use a fair bit of Changeling material in a short-lived game, too. And once I was visiting Quarterstaff regularly, it was a short hop to getting to know more people, trying more role-playing games and branching out into board games. I never stood a chance. And it was all because someone didn’t want that beat up core book anymore. One day, I found three or four Planescape box sets for sale used at Quarterstaff Games. I forget what the prices were, but trying to be clever, I figured I could buy all of them, sell those I didn’t want on eBay — Planes of Law, Planes of Chaos and maybe a third one — and come out ahead, if not break even and basically have a free Planescape core box. In the end, after eBay fees, estimated shipping versus actual and the hassle of getting to the post office, I would have loved to say I broke even. At the most, it worked out to a heavily discounted core box, and one that I still have not gotten around to reading. The cheap answer is “all of them.” Yes, I get to play often enough and yes, I enjoy playing those games with my friends. But I don’t think it will surprise anyone that Pathfinder is not my favorite role-playing game. Mage: the Ascension’s cycle of creation and destruction, as rendered by Rungok. It is, of course, Mage: the Ascension. The odd sibling out of White Wolf’s core three role-playing games, Mage benefited from having such a broad scope — “You play wizards who can do things by wanting it really hard!” — that an amazing breadth and depth of points of view clustered under the eaves of its luditorium to play. So unlike Vampire and Werewolfin the original World of Darkness, Mage could be about street punk mages sticking it to the man of the wizardly establishment, science heroes duking it out over the moons of Jupiter or the archetypal struggle against the monolithic Technocracy. When your players’ characters can do anything within the scope of their mystical paradigms, the prospect of engaging all of them at once is more than a little daunting. I ran Mage for a while, in Quarterstaff Games’ play area as an open game. You can read the session notes, if you like. As it was only the second campaign I’d ever run — after a brief, wildly uneven Mutants & Mastermindsgame — you can’t fault my audacity. But that was running, not playing. The only time I’ve ever gotten to play Mage was in college, and that was such a wash-out on my part as a player and a person, we will never speak of it again. Maybe someday, though. I just need to meet an industrious GMing type who loves Mage, but cannot abide crossovers. They must be out there. Aside from the practical advantages listed above, it’s that Traditions and Crafts with a “knowledge is the key to mystical power” paradigm educate everyone the same. All the recruits go through the same education of sympathetic correspondences and Enochian chants. It’s that some of those students awaken, becoming capable of dynamic will-working, while others master the linear arts taught within the curriculum. It’s the difference between Harry and Ron, who slog through Hogwarts as average students, getting better at the required work with practice, and Hermione, who masters everything and turns out to be such a gifted student that she composes her own spells and modifies standard formulae to her needs. Looking at it that way helps me make a lot more sense of linear sorcerers’ place in the world of Mage. The idols of today’s youth ride broomsticks or wield spells. They fight balrogs and cyborgs, learn witchcraft and microtechnology. The children themselves bear Tolkien and Linux for Dummies in the same bookbag; chat in cybertongues to distant friends; don virtual disguises to enter imaginary worlds where aliens and faeries are one and the same. And when they mature, these brave children learn to think around corners. To fly on words and unlock puzzles, weave illusions and craft new colors. Mastering arcane codes and words of power, they’ll summon Umbrood that Great Solomon never knew existed. And some of them even make that final leap: Awakening to our Reality. How like that Trickster, to confound his enemies this way! For using Technocratic tools to undo Technocratic Order is a jest worthy of the Thief of Olympus. Mythic Hermes stole Apollo’s cattle; modern Hermes steals the “cattle” from the Technocratic god — using their own goads to do it! In this campaign you’re all playing Xs. Can I make a Y instead? — The start of every World of Darkness game ever, original and new. Where X and Y are two different character types, often entailing different rule books and incompatible motivations and drives. The time has come to weed the game library. Behind the jump you will find role-playing games, board games and card games I would like very much for someone else to own. Generally speaking, it’s all older stuff, so if you’re looking for titles from the 90s and early 00s, this might be the sale for you. What’s the Use of Certámen? When I first read about Mage: The Ascension in the early 2000s, I didn’t get certámen at all. In a game that, on an initial surface-reading, is about modern wizards struggling against an oppressive world order, an ancient rite of dueling made no sense to me at all. Why would someone do that? How does it make sense to resolve disputes through magical prowess when the complaint has nothing to do with that? The answer on both the in and out of game levels is historical influences. In the game world of Mage: The Ascension, certámen dates from the medieval days of the Order of Hermes. Dueling has been going on for a long time in some form or another. It’s not surprising that wizards would develop their own system, particularly the Order of Hermes, a bunch of politicking back-stabbers if ever there were. It’s a testament to the influence of the Hermetics that they could finagle the rite of certámen into the structure of the Traditions Council. 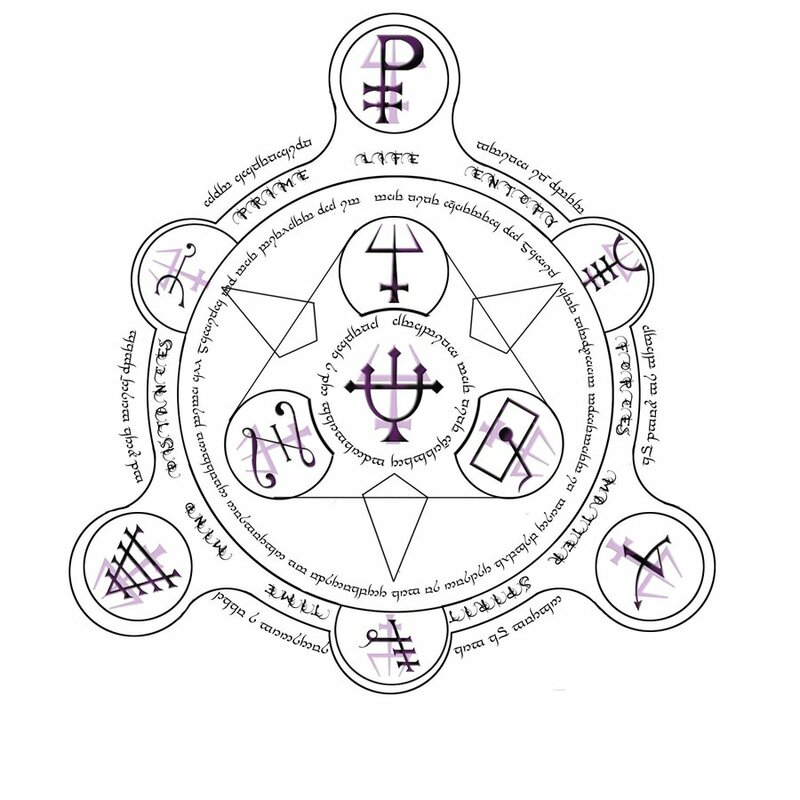 They also browbeat the other traditions into accepting their sphere-based view of magic as the lingua franca of mages, so they clearly had the chops — or everyone else felt sufficient pressure from the Daedaleans that they accepted all sorts of Hermetic demands and nonsense to throw in with the group that had the most sound power base in Europe. Certámen as a valid means of dispute resolution among the traditions must have done a lot to shore up the dominance of the Order of Hermes, given they invented it. Out of game, certámen was in Mage: The Ascension because it was in Ars Magica, the original home of the Order of Hermes. The basic idea of the Order, if not the entirety of their magical worldview — or I theorize, having read only the most recent edition of that game’s corebook — was ported from one to the other. Additionally, certámen plays a role in the punk aspect of Mage: The Ascension. Yes, I said “punk.” In particular, the part of punk that centers around fighting against the establishment. In the first edition of the game, mages everywhere are hunted by the seemingly omnipresent Technocracy. Within their own ranks, the older, sedentary mages of the traditions use certámen to keep the young generation in line. It also served as an example of how one of the Traditions’ greatest enemies was their own hidebound practices, unable to keep up with the times. Until I read Dark Ages: Mage, I didn’t really get or even think very critically about certámen. Up to that point, I ignored it outright. Dark Ages: Mage provided actual rules for a wizard’s duel and even gave it some historical context, in that the techniques came from Roman mages, with the forms named gladius and such. For whatever reason, understanding that the rite had a history that could be traced, both across game lines and within the history of the game world, made me think about it and connect its presence in the Mage universe with comments other people have made about the punk aspects of the original World of Darkness game lines, namely stephenls on the forums over at RPG.net. Has certámen ever come up in one of your Mage games? What happened? Something about role-playing inspires a do-it-yourself attitude in many hobbyists. If they don’t like something, they’ll often modify to it their needs, or roll their own. So it’s no surprise that Mage: The Ascension, a game about independent individuals all proclaiming they understand the true secrets of the universe — and perhaps later learning that it’s all an illusion of sorts — should accumulate more than a few projects to do it right, better or to taste, depending on the author. Sometimes I think it’s a right of passage, whereat the burgeoning role-player decides that in the end it’s all made up and hell, they should do it the way they prefer. Mage! was a conversion document by an RPG.net poster by the name of Redfox Whiteruff for running a Mage game using the Aeon variant of the Storyteller system, particularly the version in Adventure! The PDF doesn’t seem to be in circulation on the web, or I’d link to it. Unisystem Mage was my own modest attempt at a Mage conversion. I’ve yet to playtest the thing, so all I can say is it exists and is freely downloadable. World of Darkness HERO, by Robert Harrison, encompasses much of the original World of Darkness as it stood in the second edition era, written for the HERO role-playing system. Malcolm Sheppard released notes almost immediately upon publication of Mage: The Awakening in 2005 to use the new ruleset to run traditional Ascension games. They’re quick and dirty, but really that’s all one needs. Mage: The Dirty Version, also by Malcolm Sheppard, is a more drastic retooling of the core premises of Mage, altering content to fit the new view. Ascension Nova, on the other hand, is a currently on-going effort to perform a more robust marriage of the Storytelling system and the Mage: The Ascension setting material. GURPS Mage: The Ascension and GURPS Thaumatology get honorable mentions; the former for being an official conversion of then-contemporary Mage to GURPS third edition and the latter for providing a ready made structure to rebuild the Sphere magic system in the fourth edition. 05/28/2010 9:38 AM: Shame on me for failing to include Malcolm Sheppard’s “dirty Mage” reinvention. Which is not to say “it” is necessarily inconsistent or arbitrary; just arranged to suit one’s own preferences. Over on wod_lj, a World of Darkness discussion community on LiveJournal, a poster recently shared a gallery of photos from an apothecary museum in Kiev — watch out, the photos are huge, but worth the wait. Until recently, the poster’s LARP group used the museum as the venue for their campaign. That’s a pretty awesome backdrop for one’s game, especially considering the group based itself around a Tremere chantry, which would naturally be littered with all sorts of arcane instruments and exotic ingredients. It’s an pretty swanky place to play and really, a museum for vampires is too fitting. Reminds me of that other highly thematic game space that made the rounds a few months back.